The Dead Sea Scrolls were a hugely important discovery for biblical scholarship. 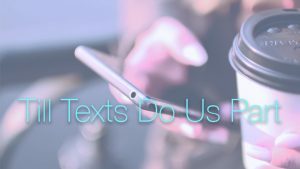 They contained ancient manuscripts of Scripture as well as extra-biblical literature that helped scholars understand the cultural and historical place of these scriptures. Media Ecology is about to experience a Dead Sea Scrolls moment. 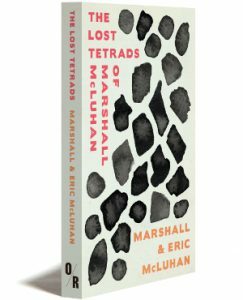 Eric McLuhan has gathered and expanded on all of the tetrads that he and his father worked on throughout their years of writing together. The tetrads have been a fascinating analytic tool for media ecologists, but they’re difficult for students to master. I remember constantly bothering my own professor, Dr. Read Schuchardt, for more and more clarity regarding tetradic analysis, and his eternal refrain: “read Laws of Media.” But Laws of Media only contain selected tetrads. Now that the whole corpus of McLuhanian tetrads is about to be released, media ecologists will be able to sharpen their understanding even further. You can pre-order the book here. And gosh golly. It is beautiful.